If you’ve ever ice skated before you’ll know it can be a difficult skill to master. Hell, even if you’re adept at it now, you’ll probably be able to remember a time when you weren’t; a time where you were like Bambi learning to walk, prone to falling over and nervous as you went round on the ice. Suffice to say, it takes untold hours of falling and getting up again before you can master ice skating and move on to the more tricky of manoeuvres. If you want to go beyond that – and truly be amongst the very best – it takes years of effort and dedication. Don’t believe me? You need only look as far as the Team Canada figure skaters to see what I mean. 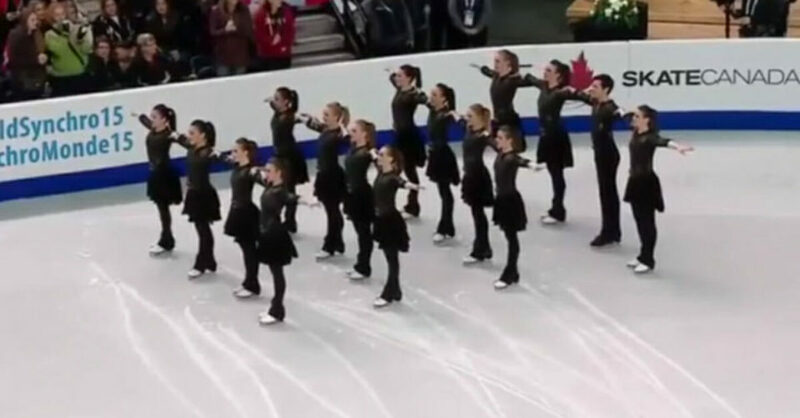 To be more specific, it’s their performance at the 2015 World Synchro Championships that I’m talking about, and the way they were able to make a serious statement through dance moves alone. 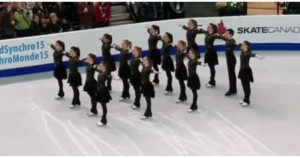 Beginning with the entire team linking arms and gliding across the ice, the skaters boast the poise and confidence of people who are completely at home with their skill set. They know what they have to do, and they know so long as they keep their focus the audience is going to be left spell-bound. 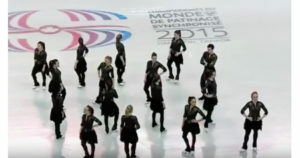 So it is that when the music starts for real – and the routine begins in earnest – they produce a perfectly synchronized performance without putting a skate wrong. Their show encompasses a sort of line-dancing feel, with the crowd almost drowning out the music being played over the speakers in their excitement. It takes years of hard work, practise, and natural skill to be able to deliver a performance like this. Shout out to all the skaters who have dedicated their lives to ensuring they’re this good at something, it truly shows! If you were impressed with this video, be sure to share the article on Facebook to brighten someone else’s day!